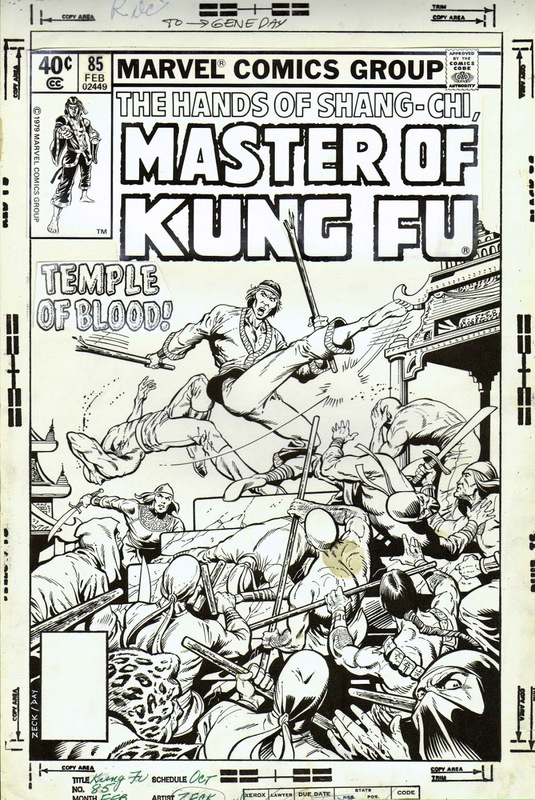 Mike Zeck's stunning cover art to Master of Kung Fu #85 was listed in ComicLink's May 2013 Feature Auction and saw robust bidding activity that closed after 29 rounds at $2,888. Not a bad price for a piece of this vintage from such a prominent artist. 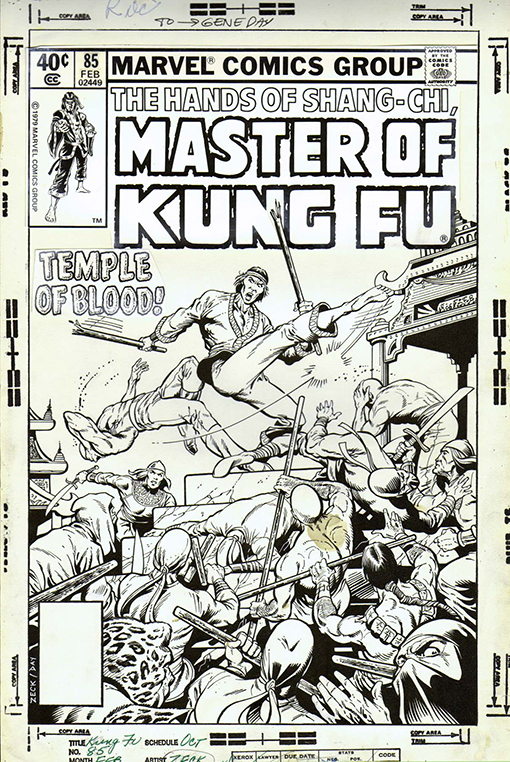 I would venture to guess that Master of Kung Fu comics and original art will appreciate significantly in value if Marvel and the Sax Rohmer estate ever come to terms on copyright issues and clear the path to reprints of this classic material as well as use of the character in films or other media. Click on the image below to see a larger scan of the cover art.